Welcome to Burt Watson Chevrolet's financing and automotive loan site. While we might be known for an outstanding selection of new and used Chevy cars, Freeland also realizes Burt Watson Chevrolet is the best choice when it comes to helping you drive home in one of these great cars. Are you excited to learn more about what we can do to help you start the process of getting financed and behind the wheel of your dream car? Then join us as we explain how the trusted Burt Watson Chevrolet finance experts are ready and willing to handle everything from new car loans to bad credit problems for you. After breaking things down for you, we have complete faith you will be ready to set the wheels in motion of driving home in the Chevy vehicle that suits your needs. If you are interested in learning more about what we have to offer, it is a strong idea to break down exactly why working out a loan with Burt Watson Chevrolet is always the right call. 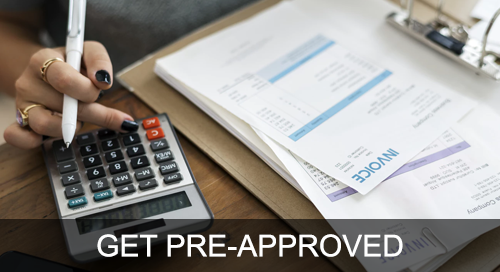 The overarching theme here is that while other industry players and third-party financial outlets might claim to be capable of providing the support you need for all of your new car loan concerns, only our group of financial professionals are able to come through with these significant claims. Should you come to us to help you figure out your financing options, you can count on having the following assets and high-quality processes at your disposal. Great Relationships with Top Loan Agencies — Making powerful inroads with the best organizations across the nation means you have the luxury to select from a variety of alternatives as you look for the best loan. Willingness to Hunt down the Most Agreeable Loan for You — At times, getting the best deal possible on your new car loan takes an forward-thinking take on the act of hammering out a deal. Of course, our team is prepared to negotiate on your behalf and bring you back an agreement that gives you the tools for success. A History of Success – Thanks to having years of automotive industry success on our side, you can feel confident the entirety of our team of new car loan experts has what it takes to successfully lead you through this sometimes hectic and intricate occurrence. By now, there is no debating Burt Watson Chevrolet is the most trusted source when it comes to mathcing you with the right Chevy automobile — and the best financing agreement to go with it. Can I Get Financed with No Money up Front? Securing an auto loan without paying a penny up front is one of the many unique loan arrangements made possible at Burt Watson Chevrolet by our auto loan group. On top of all of this, combining the choice to skip over payments for anywhere between 30 and 60 days is also a consideration when opting for no-money-down financing. Naturally, getting into this kind of arrangement and paying absolutely nothing up front for your new Chevy vehicle requires some supplementary information from you. If you are interested in what it takes to get the ball rolling on this front, go ahead and connect with our staff of industry-leading auto loan professionals today at 866-507-2637. Facing down bad credit as a customer in Freeland is naturally a situation that can limit your fun as you search for the right car. However, by making it a point to bring your business to Burt Watson Chevrolet, you can skip over problems that come with bad credit and begin the process of heading home in your perfect car, truck, or sport utility vehicle (SUV) immediately. Naturally, dealing with poor credit is an issue. Despite this fact, Burt Watson Chevrolet understands this issue is not always something that can be boiled down to a single factor or number. In doing this, we have built a new level of trust and respect for car buyers with bad credit that is unparalleled in Freeland — and helped countless shoppers as they move through this trying situation and locate the right automobile for their specific daily drive. All things considered, each shopper has unique needs and comes from their own particular situation, so it never hurts to talk to the loan staff here at Burt Watson Chevrolet by dialing 866-507-2637 first before you set aside some time from your busy schedule and commit to an appointment. At this point, you are definitely ready to get started on the process of sorting out the most consumer-friendly way to set up a car loan for a great new or used Chevy from Burt Watson Chevrolet. With this in mind, we would like to ask that you take a couple minutes of your day and fill out our straightforward and secure auto loan application by pressing the button below. After accepting this information, our industry-leading credit and loan staff will start collating information regarding all of the auto finance offers available to you. From here, we will reach out and break down how best to make the most of these exemplary pricing deals. We appreciate you stopping by Burt Watson Chevrolet, and we cannot wait to pairing you up with the best auto loan offers in Freeland and its nearby areas soon!